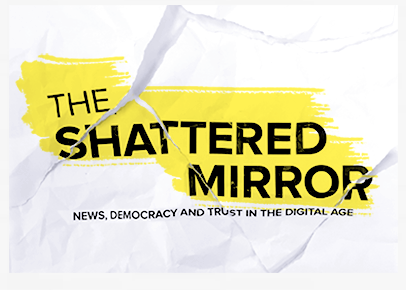 The report The Shattered Mirror: News, Democracy and Trust in the Digital Age, by the Public Policy Forum, examined the decline in Canada of media, and how shifts affect Canadian democracy. Fake news is as old as the Internet. From the 1990s, I remember spam, scams, and ghost ship “rolling” petitions that sailed the white-font-on-black-background PINE and LYNX seas – almost as soon as the first E-list was compiled. Spam couldn’t easily penetrate Usenet – the threaded online discussion Bulletin Boards, or BB ses that scientists used. When email lists proliferated, however, spamsters found ways to hop on board other people’s trains, at open relays. Good e-lists relied on volunteer moderators (as the long-lived feminist PAR-L list still does) but messages on even the best-intentioned lists often carried warnings about non-existent viruses that urged recipients to “send this to everyone you know.” Such scaremongering turned the fake news messages into viruses in themselves. Those fake warnings often pretended to be from the FBI or Microsoft. Up until now, nobody has ever dared to disseminate nakedly false news from the address @POTUS, President Of The United States. The new @POTUS breaks ground every day. On January 24, #45 tweeted what he said was an Inauguration Day, January 20, crowd photo. The problem is that the photo’s time/date stamp said it was taken the next day, January 21, the day of the Women’s March on Washington. An old gag says you can’t make this stuff up – except that the recent U.S. election proves that scammers do! We the people are barraged by click bait and propaganda, both online and off. Fraudsters abroad fabricate stories with the sole purpose of shocking people enough to entice them to click through to bogus stories – stories which, beyond doubt, influenced the US election. @POTUS himself tweets an endless stream of 140-character fantasy headlines which, in Cold War days, we would have called propaganda. These days, we just call it advertising. Each article costs an author hours if not days of research and writing. You’ve already invested your own time in reading this work. 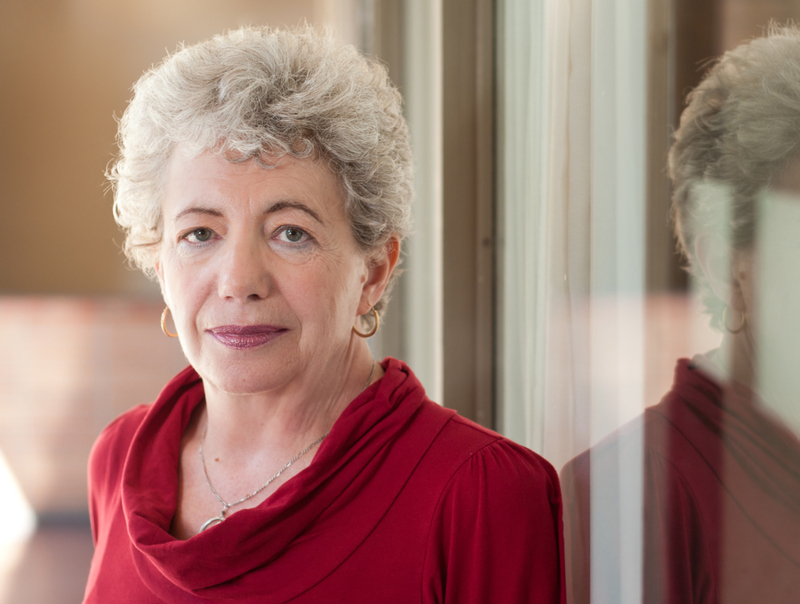 Now you have a chance to put your money where your mind is – make a small donation towards this author’s next article. Use Penney Kome’s “Buy Now” button, below, to support Penney Kome’s work. To support F&O’s overall site, scroll to the bottom of the page. Either way, your support goes directly to the journalists who own and operate this news boutique. With online news accounting for so much of what we see and learn, a smart Internaut needs ways to assess the increasingly startling reports that other people share. Every published story usually carries some clues. As a journalist, I look at the reputation of the source of the story and the outlet that carries it. I search on the topic and see what other publications are saying. Lack of corroborating stories is usually a bad sign. And I try to check the facts, or find a fact-checker on the story. Perhaps the longest-serving fact-checker on the Web is Snopes.com, which began in 1995 by checking urban legends and has evolved into checking news stories and celebrity claims. Started by two retired insurance workers, Snopes soon became a standard newsroom reference if you wanted to check a jarring story. Last December, Facebook signed a deal with Snopes to check the fake news circulating on member pages. Now, says Kalev Leetaru, Snopes’ founders are divorcing, and the expanded Snopes site is part of the divorce case. Snopes is still a standard reference in newsrooms, he says, for situations like the recent case when the president’s spokesperson invented an imaginary Bowling Green Massacre to justify the travel ban on people from Muslim countries. the 10 best fact-checking sites, such as Politifact, or the Annenberg Centre, or the Poynter Institute. Fact checkers can help identify which news sites to avoid, and can be useful in online discussions. However, we seem to live in a post-fact or “alternative fact” political climate. Now let’s look at some recommendations for websites to include in order to get a wide perspective when an issue suddenly flares up. Fans of democracy argue that, as a society, we need the whole news media ecology, including funding for major investigations as well as independent journalism sites, like FactsandOpinions.com. One major difference between Canada and the US is that Canada’s CRTC rejected core-cable status for SUN News, a kissing cousin to far right-wing Fox News in the US. Canadians have shown that much media savvy already. In the US, a mere six companies control all the news media, outside of PBS – as Gemini Fox points out. She lists some independent outlets she finds reliable, such as Amy Goodman’s Democracy Now! and Glenn Greenwald’s The Intercept. On Youtube, I like The Young Turks – youthful, insightful, insouciant, and literally Turks of Turkish descent. Bill Moyers also listed his top ten investigative sites on his blog. For what it’s worth, in my opinion most Americans would be amazed at the even-handed and thorough approach Canada’s CBC takes to news gathering. Business Insider found that Americans place most trust in British news sources, but rely on the likes of Fox and CNN for domestic news. Pew Research Centre approaches the question another way, asking instead which news outlets are the more trusted. The Center found differences between liberals (who trusted 28 out of 36 news outlets) and conservatives, who trusted only 12 out of the 36 news organizations named. Like anything else we see, what we observe depends largely on where we’re standing. Social media tend to reinforce our own attitudes, in that we see more of what we indicate we like. We need to treat our media diet like our food diet, aiming for variety as well as flavour and sustenance. We need to teach our children how to assess what they see onscreen, looking at source, content and context. As individuals, we need to follow a few trusted news sources (I like rabble.ca and CBC.ca), and keep a list of wildly inaccurate or politically unpalatable ones, like Breitbart.com And we can’t take them for granted. News used to be the most important programming that local or national broadcasters could offer. These days, newspapers are thinner than thin mints. TV network websites promote entertainment or reality shows, and conceal news programming under the “More” button. In 2013, Jan Wong reported that Canada’s newsrooms had shed 10,000 jobs in the previous five years. Last December, Canada’s Public Policy Forum des politiques publique du Canada issued a report that warns Canada’s news media cannot survive their steeply dropping revenue. The report found that 225 weekly and 27 daily newspapers have merged or closed shop since 2010, in more than 210 federal ridings. Small market TV stations have closed. Newsrooms everywhere whittle away at staff and services. The PPF cites an estimated 30 percent reduction in journalism jobs since 2010. In response, Public Policy Forum President Ed Greenspon convened a panel of experts including pollster Allan Gregg to recommend ways to save the industry. “The Shattered Mirror” calls on the federal government to support media in Canada in a dozen ways such as adjusting tax breaks for online advertising; allowing non-profit media to register as charities and thus be eligible for philanthropic funding; strengthening the Copyright Act; strengthening and expanding Canadian Press; establishing Indigenous journalism as a discipline; creating a legal advice service for investigative journalists, and establishing a Future of Journalism and Democracy Fund, with an immediate endowment of $100 million and annual deposits of taxes from Canadian advertisements placed in foreign online media. There’s a reason American president #45 is furiously trying to control the news media, to the extent that Washington DC police have laid felony charges against six journalists who covered Inauguration Day protests.